The QE2 will finally open as a floating hotel in Dubai next month. PCFC Hotels announced that a "soft opening" will take place on April 18, before a "grand launch" in October. After being bought by a Dubai government-owned company for 100 million US dollars (£70 million), the vessel was expected to be quickly refitted into a hotel, dining and entertainment destination - but the financial crisis delayed the project. It has now been "thoughtfully restored to her former glory" after 2.7 million man-hours of work, its owners said. The 13-deck hotel is docked permanently at Port Rashid and features an interactive museum showcasing the QE2's history. 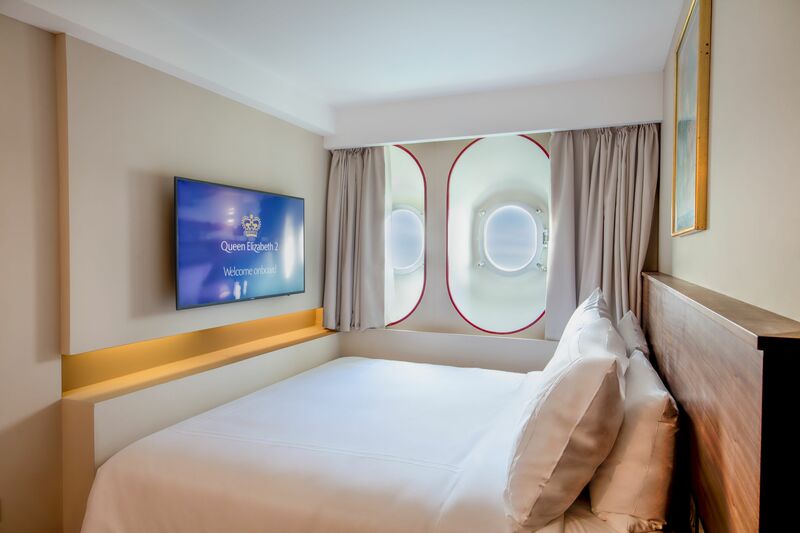 Guests staying in the smallest "cabin style" rooms will have just 17 square metres of floor space, while those in the royal suites will enjoy 76 square metres. The latter offer a private veranda, conservatory and dining room in addition to a luxurious bedroom. A one-night stay on April 18 costs from £115 per room. Five of the planned 13 restaurants and bars will be open from next month, including a traditional English pub named the Golden Lion. 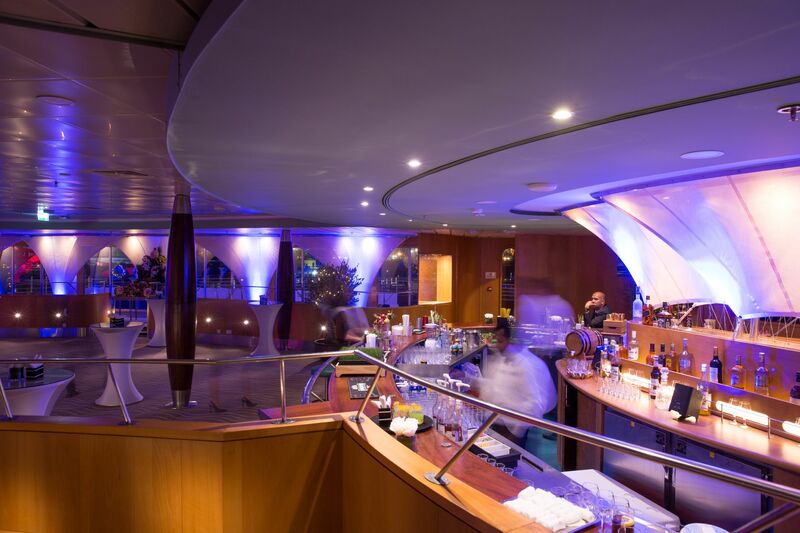 The "signature restaurant" is Queen's Grill, which will offer British fine-dining and a tasting menu that recreates a classic selection of dishes from 1969, the year the ship first came into service. Launched by the Queen in 1967, QE2 had an adventurous life which included being pressed into service as a troop ship in the Falklands War in 1982. The vessel crossed the Atlantic more than 800 times and carried more than 2.5 million passengers including kings and queens, prime ministers and presidents, astronauts and many international celebrities. PCFC Hotels chief executive Hamza Mustafa said: "To finally open the QE2 is a dream come true for my team and I. "It is one of Dubai's most highly anticipated projects and we know that a lot of people are going to be very excited to see her for the first time, or to step back on board the vessel that created so many wonderful memories during her 40 years at sea."